10/18/2018 Washington D.C. (International Christian Concern) – In the Bastar district of India’s Chhattisgarh state, Hindu radical groups, bent on stopping what they claim are “forced religious conversations,” continue to use social boycotts as their primary weapon of organized persecution against Christians. 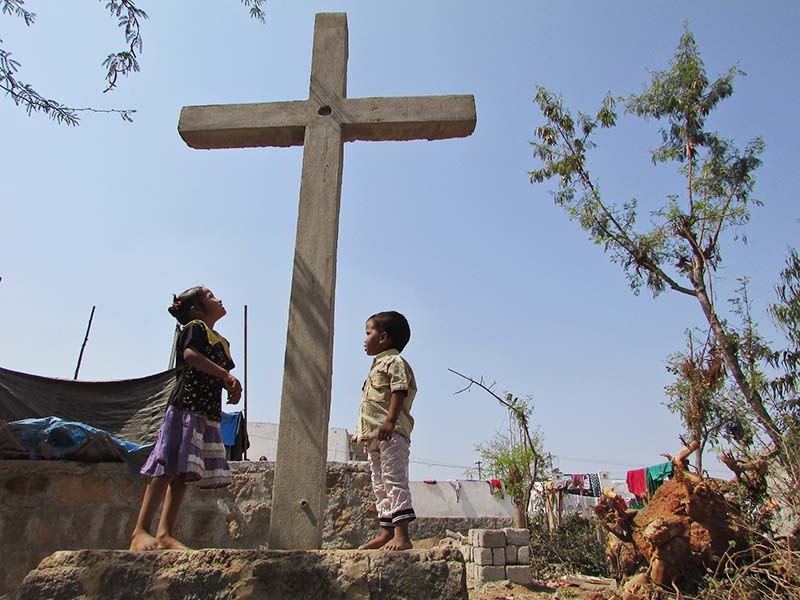 Christians living in the predominately tribal Bastar region have been violently targeted by Hindu radical groups for over four years because of the growth of Christianity in the region. The social boycott is one of the more sinister ways in which radicals persecute Christians, seeking to stunt the growth of Christianity. “However, the Hindu radical groups are using this punishment system to persecute Christians with the motive of [stopping] people from following Christ and [discouraging] all forms of Christianity in villages,” Pastor Peter continued. In Bastar, the rise of social boycotts began in 2014, shortly after the pro-Hindu Bharatiya Janata Party (BJP) rose to power. In June 2014, 50 village councils in Bastar passed resolutions under Section 129 (c) of the Chhattisgarh Gram Panchayat Act, restricting non-Hindus from practicing and propagating their religion, building places of worship, and residing in the village. As a means of punishment, the councils declared that all Christians of these 50 villages were to be socially boycotted until they converted to Hinduism. In 2015, the High Court of Chhattisgarh quashed these resolutions as they violated rights guaranteed by India’s constitution. Despite the illegal nature of the social boycotts, nothing has significantly changed for Christians living in these 50 villages as little is being done to enforce the ruling. For more than four years, the social boycotts have continued. Sadly, many victims of the social boycotts do not come forward for fear of backlash. To counter these issues, civil rights lawyers and activists have been conducting legal seminars in Christian communities to help educate citizens on their fundamental rights enshrined in the Indian constitution. The stories of Christians suffering under social boycotts in Bastar are endless. Jayram Korram, a grocery shop and rice mill store owner, was driven out of his home in Parulmeta village as a result of a social boycott. He said that, first, his home was attacked and vandalized by Hindu radicals and the village council. Later, he was told that his cows could no longer graze in the village. To make matters worse, his children were banned from attending the local government school. Unable to feed his cows, fix his home, or send his children to school, Korram was forced to relocate his family to another village. In Konadipara village, located in the Kondagao district, Jholiram Mandavi’s name was blacklisted. This prevented him from obtaining any form of government aid or welfare, keeping him from building a home for himself. This happened shortly after radicals destroyed his home, forcing him to live in a shelter made of only plastic sheets. Another family, that wished to remain anonymous, told ICC that they wanted to become Christians, but were fearful of the wrath of the community. The widowed mother and her three sons knew that if they became Christians they would be denied all social rights, banned from getting water from the village well, and socially ostracized. The widows’ daughter, who lives outside the village, returns home frequently. Before returning home, she removes any indications that she is a Christian for fear of what they will do to her family. Four long years have passed since Christians in the Bastar region of Chhattisgarh began to suffer this intense wave of persecution. Despite a positive legal ruling on the village resolutions and social boycotts, little has been done locally to end the suffering of this minority community. If India is going to continue to declare itself to be a religiously diverse democracy, it must take steps to enforce the fundamental rights of its citizens, especially minorities. How much longer must the Christians of Bastar suffer before their rights are protected?